FRANKFURT – Global deliveries of Volkswagen AG's core VW brand increased 10.4 percent to 1.23 million vehicles in the first quarter, a record for the automaker, the company said Wednesday. VW also reported record deliveries for the month of March, with sales of more than 468,000 cars, a year-on-year rise of 4.9 percent. "Deliveries by the Volkswagen brand have developed extremely well. Gains were particularly strong on emerging markets," Christian Klingler, VW board member for sales and marketing, said in a statement. First-quarter sales in China were the strongest, with VW reporting deliveries of 429,500 cars, an 18.5 percent increase over the previous year. Sales developed strongly too in India, where deliveries increase more than tenfold to 18,200 units in the first three months of the year. VW brand Russian sales almost doubled to 16,800 cars, a rise of 96.5 percent over the same period in 2010. In Europe, there was a small rise of 2.9 percent in brand sales to 420,400 deliveries, while in North America, the brand grew deliveries to 106,300 vehicles, a 15.5 percent rise on 2010 figures. 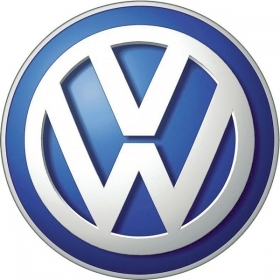 VW aims to pass Toyota Motor Corp. as the world's best-selling automaker by 2018. In 2010, VW group sold 7.14 million units, behind General Motors Co. with 8.39 million and Toyota with 8.42 million.